Announcement possible "in the next year". Beyond Good & Evil 2 will massively expand the scope of the original game and stretch across multiple cities and planets, according to creator Michel Ancel. And while it's not yet confirmed that the game is Ubisoft Montpellier's next project, it could be announced within the next year. That's what series mastermind and father of Rayman told Eurogamer last week when we met him face-to-face. With development on the delayed Rayman Legends finally complete, Ancel explained that he now wished to return to Beyond Good & Evil 2, a project he first started over eight years ago. "We need to build the team and retrieve the elements that we worked on," Ancel explained, refusing to give a date for when the project would be formally re-announced. "I don't want to say things in terms of time that will make people disappointed - it will really depend on the speed that we will make things for that game. "We've made a lot of things already. Now we need to put them together and make that game. If there would be any communication it will be in the next year, just trying to talk about the fact we are on it. But so many people in Ubisoft want to make that game, honestly." 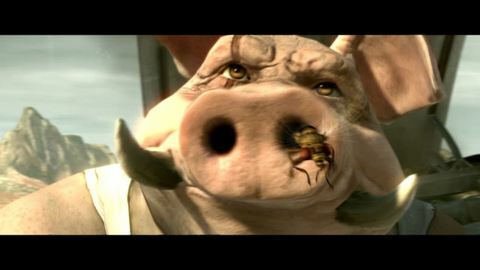 Ancel now accepts that his vision for Beyond Good & Evil 2 back in 2008 was too big to be realised at the time, and has said on multiple occasions since that he would need the next-generation of consoles to be announced before work could resume. "It was not the time when we worked on it before, it was too ambitious, honestly," he continued. "And this is the game that we want to do at the right time. So now that we have the right team and the right tools, this would be a good time to do it." Ancel's vision for the sequel is big - much bigger than the first Beyond Good & Evil, which had a lot of its scope cut back from his initial plans. "In Beyond Good & Evil 1 at first it was a full planet, you could go to the North Pole and see the eternal day," he explained. "But we had to limit it as we were only 35 people. We couldn't fill the whole world with all the things we wanted. We were frustrated at the end of BG&E1, and when we started the sequel we started again with this idea - you're free and can investigate and travel the world as much as you want." While the first game saw players explore just a small section of the planet Hillys (and a quick end-of-game excursion to its moon), its sequel is planned to feature a far more open world, and worlds. "We wanted to not make this experience [BG&E2] linear, to give the player freedom to explore planet to planet, city to city - and not empty cities, of course. So these are things we worked on." 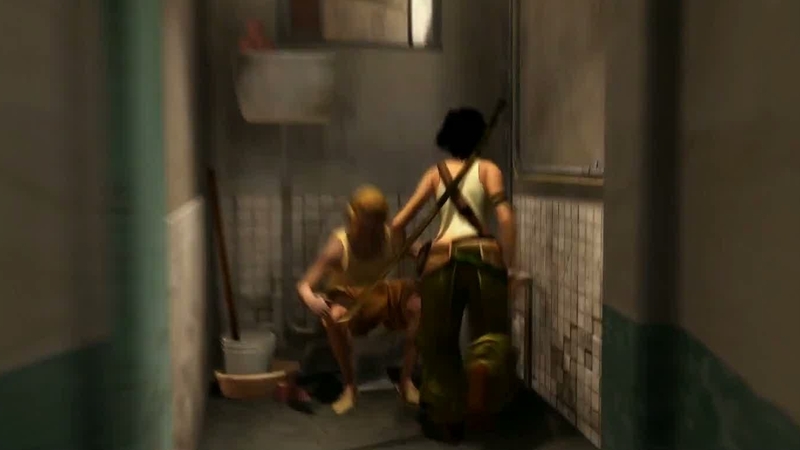 Ubisoft only released two slices of footage from the project before it was shelved - a pre-rendered trailer showing main character Jade and her uncle Pey'j in the desert, and a quick clip of what might have been gameplay, showing Jade free-running through buildings and eventually escaping on the back of an aircraft. "In Beyond Good & Evil 1 at first it was a full planet, you could go to the North Pole and see the eternal day. But we had to limit it as we were only 35 people. "I think [the Jade video] was just a small part showing navigation inside and outside of the buildings," Ancel said when I mentioned the clip, and that its gameplay seemed remarkably similar to some of the action in Assassin's Creed. "This demo was just a small part of the work done for that game," he explained. "We don't want to make another Assassin's Creed with Jade of course. It must be Beyond Good and Evil 2." Ancel spoke about the game like he was already thinking about it again, like he still had a clear vision for what it would look like even years after the project was shelved. And it was clear that he remains passionate about making it. But how passionate are the Ubisoft bosses - they with the power to sign off on the project and commit to full-scale development? "The Ubisoft bosses are very careful about keeping the company on track at the right time," Ancel concluded. "If we make the sequel - and it's something we want to do - we will do it because they are convinced it's the right thing to do. And we need to be convinced that they will be convinced, and I'm really confident with that. "They've done really well with the different games that are coming out right now and the ones they've already released. They're in a good place in terms of the business, and it could be very interesting to make a game like that as there aren't too many games out there right now that would be like ours. So I think it's the right time and I'm confident that they will follow the team."